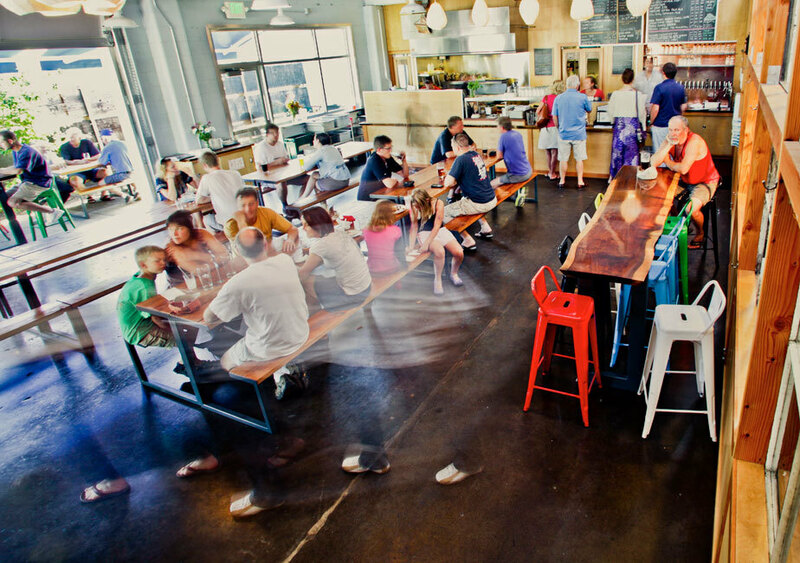 The interior of Falling Sky Brewing. (Source). A solid business plan, learning from experience, monitoring the right internal numbers, trusting your judgment, and staying open to constant change: those are the key ingredients for making a successful business that can be scaled and improved. What’s common between them? Each one relies on a mix of data and an owner’s willingness to stay in the know, not just on operations, but on the right numbers and insights. That’s been Rob Cohen’s experience, anyway. The restaurateur opened his first coffee shop in Ithaca, New York, in 1994. Cohen ran the coffee shop and two restaurants until 2008, when he and his family relocated to Eugene, Oregon. Inspired by the region’s devotion to quality food and craft beer, Cohen got involved with a small group of entrepreneurs and decided to open their own brewpub. Falling Sky Brewing opened its first location in 2012. They’ve since added two more locations and staff 75 employees (35 full-time and 40 part-time). While each location is under the Falling Sky brand, the downtown brewpub, the deli in a popular neighborhood, and the pizzeria in the University of Oregon student union building are unique. It’s a recipe that has garnered Falling Sky local accolades including “best bar grub,” and “best place to drink in the sun,” along with national recognition from a recent Good Food Award. Yet behind the award-winning beers, charcuterie, breads, pickles, and more, Falling Sky’s success comes down to solid numbers and a willingness to keep improving. The key is having access to good data—and actually reviewing and understanding it—something Cohen says is easier than ever. Experience with staff, banks, and restaurants on two coasts has taught Cohen to rely more on hard data than what people tell you based on their impressions or recollections. Planning and forethought bake a business too. They come into play before profitability, and even before a business opens its real or virtual doors. For the startup, Cohen and his partners focused on a five-year outlook. They wanted to have some understanding not just of their own responsibilities, but of the management structure numbers they’d need to see in order to grow. Today they focus on looking out one year, three years, and five years. Cohen and his partners recently completed a regular review and update of Falling Sky’s business plan. They see how the business has both followed their initial vision—but also where they’ve adapted along the way. They also can make better decisions, now that they have real data that reflects the day-to-day realities of their operation, instead of industry averages or more general-purpose numbers. Those numbers give an entrepreneur an initial point of reference, but it’s important to remember that along the way you’ll need to update and replace those numbers with ones that reflect the reality of your actual business. But that didn’t mean he knew the data particulars for his new home on the West Coast. For that, he and his partners turned to research to shore up their business plan and make projections on everything from rent to revenue. The key is to understand that over time, real numbers from your operation will replace your business plan’s initial numbers. That’s a good thing: your business plan can more accurately reflect your current business, and give you a better outlook. For Falling Sky, that’s been key in helping them open their subsequent locations—both of which came as the result of serendipitous opportunities for locations with great potential. What are your business’s most crucial costs and data points? Every business has to figure out the key metrics that tell owners the most crucial information about where the business is and where things may be going. After rapid expansion over six years, Cohen and his partners can now improve and optimize day-to-day operations. “I’m focusing on all aspects of how we’re working ourselves, how we’re streamlining menus for the kitchen, which is quicker for customers and less wasteful for food and labor, and make better specials to keep things interesting,” says Cohen. Falling Sky is also investing in better staff training, internal policies, and new company-wide healthcare and retirement programs. Ultimately, good decisions come from a combination of hard data, anecdotes, discussion, and trusting your own experience and judgment. Falling Sky has found data more plentiful, accessible, and useful than ever—and that’s been paying off for them in terms of business decisions, expansions, and optimizations. The ultimate data, though, also comes from the owner’s own observations. That comes only by being on site and seeing how things are going for staff and customers. “I try to go to each location each day I’m around,” says Cohen. No matter how many data points a business owner can access nowadays, though, it all comes down to a very simple fundamental. Before Cohen started his first coffee shop in Ithaca, he met with a friend of his father’s, a “successful restaurateur” who was behind 16 restaurants. That friend gave him a key piece of advice that Cohen still works toward each day.